Updated Wednesday June 7, 2017 by Terryville Soccer Club. Intramural Program - our most popular Program with the least amount of time and financial commitment. Teams are formed to play in the Spring and in the Fall. No tryouts and no experience is required. Intramural Tournament Program - formed using players from the Intramural Program. The team plays in tournaments, with the anticipation that these players will be trying out for and joining the Travel Program. 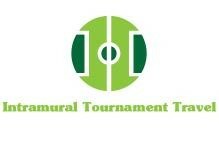 The Tournament games played are in addition to the regular games played in Intramurals and must not conflict. The Tournament Team players are distributed through their Intramural Division Teams for proper balance and do not play as a team within the Intramural Program. The Intramural Tournament Program is aimed at getting players ready for the next level. Intramural TOPSoccer Program - this Program is designed for our handicapped players who need assistance on the field. There are no age Divisions and no tryouts. Travel Program - this is our most competitive Program, with the most time and financial commitment. There are tryout for joining the Travel Program.